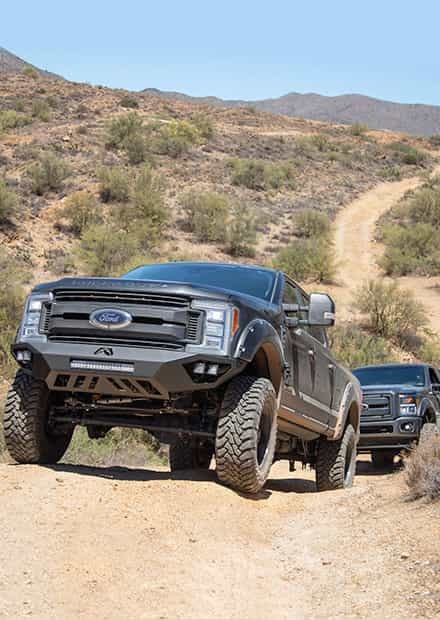 The 2017-2019 Super Duty is a big truck, and it only gets bigger when you start throwing on lift kits and off-road tires. That's what makes AMP Research's BedStep especially convenient. 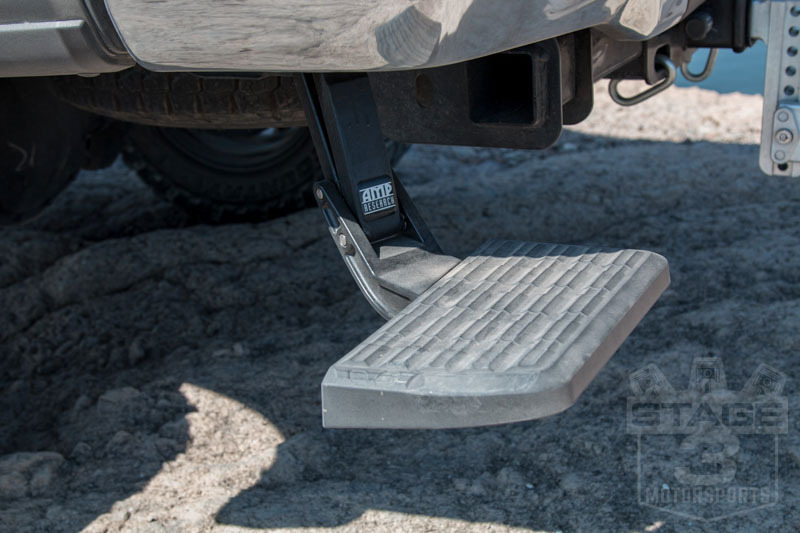 If you're looking for a dependable tailgate step, you really can't go wrong with AMP Research. 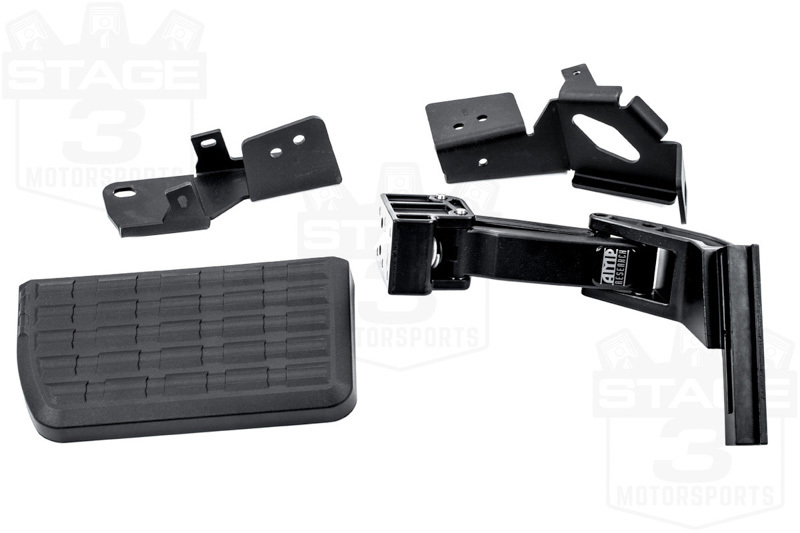 This heavy-duty tailgate step is supported by a diecast aluminum linkage arm and stainless steel retraction pivot points, ensuring sturdy support up of up to 300 lbs! 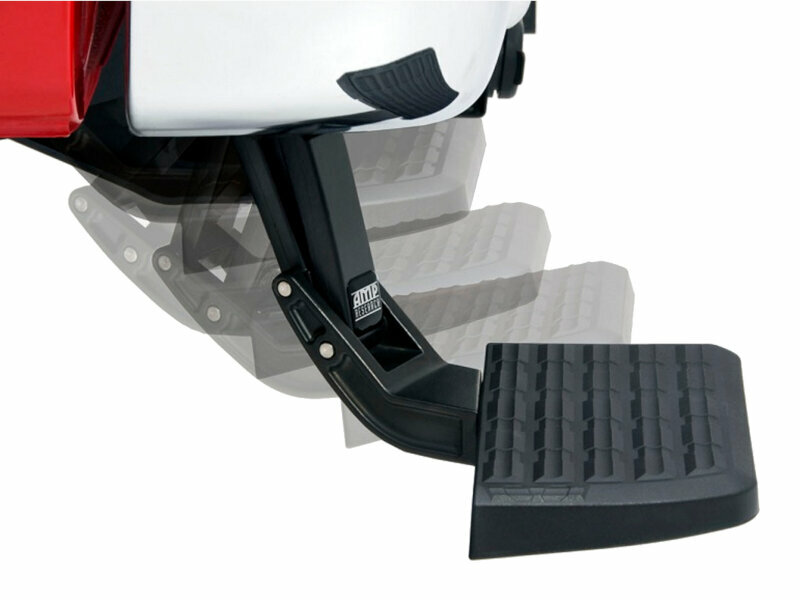 AMP designed their BedStep tailgate step to provide dependable bed access when you need it and then stay out of the way when you don't. 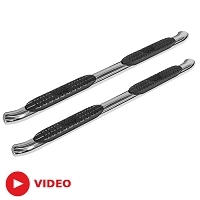 Stainless steel retraction pivots allow you to easily retract the BedStep with an easy nudge for a clean, low-profile look. 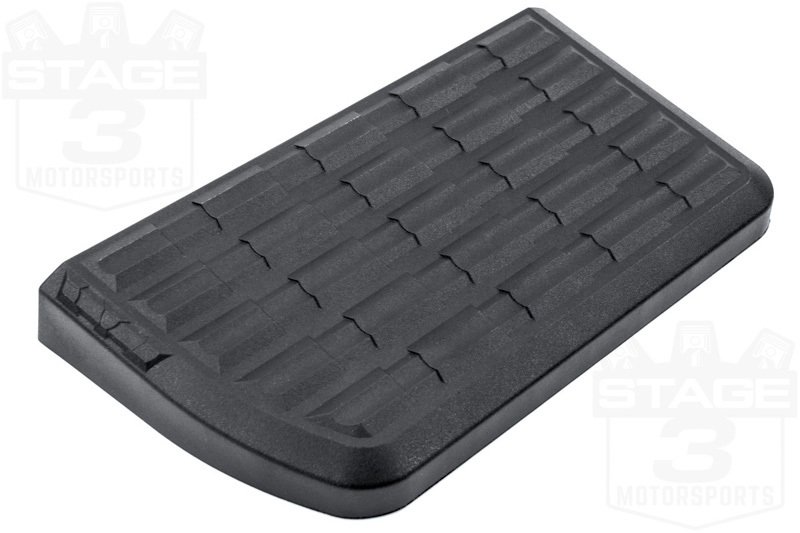 The ultra-durable glass-reinforced assembly features a non-slip step pad to ensure safe and convenient bed access every time. 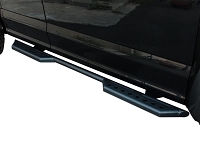 Installation is a breeze thanks to a simple bolt-on design - no drilling necessary! 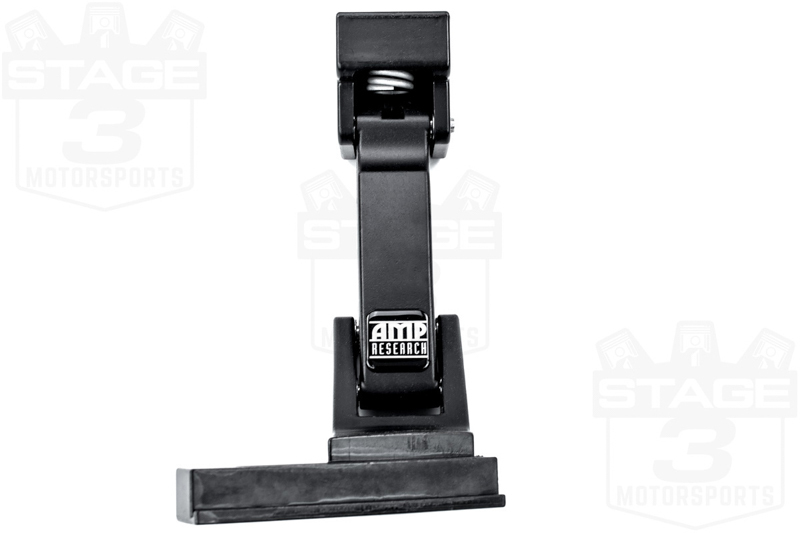 Warranty: The AMP Research BedStep is backed by a Three-Year Warranty. Very well made, easy to install, and very useful. 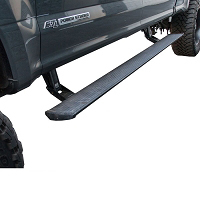 I like it better than the tailgate step. Tucks up very close to the bumper when stowed. 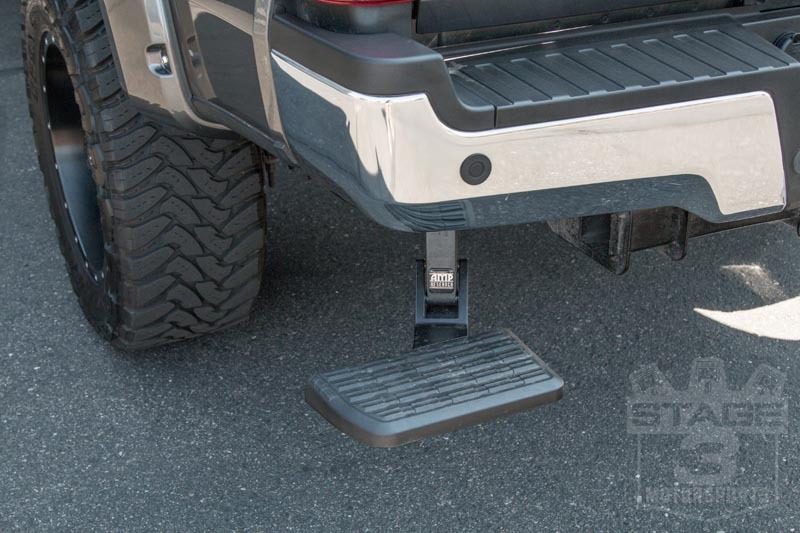 Would recommend this step to anyone especially if their truck doesn't have one. Took about an hour and a half in the drive way on my back with NO power tools. Hardest part was getting it to line up with the existing bolts. 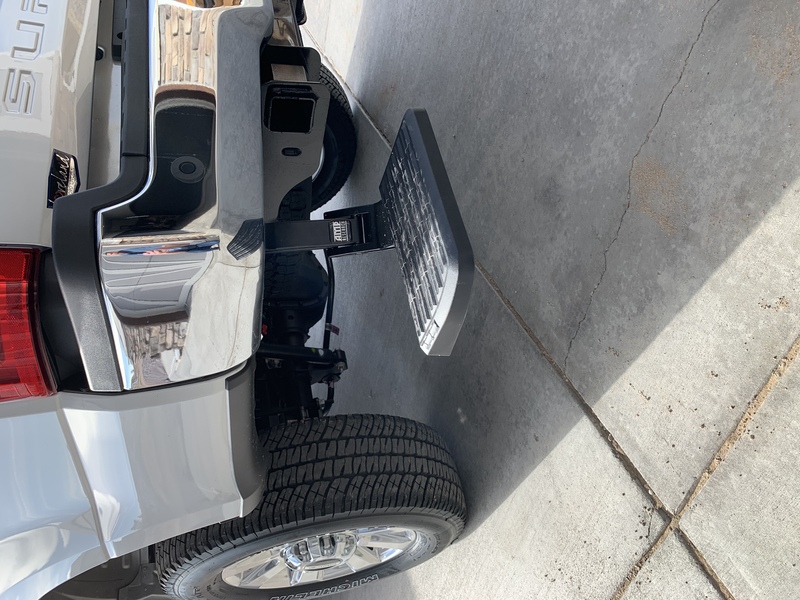 Product works GREAT on our NEW 2017 F350 SUPER DUTY for access since the vehicle sits so high. Like many of the others here, I'm going to give the AMP Research bed step high marks. The install was easy (30 minutes), and it functions very well. 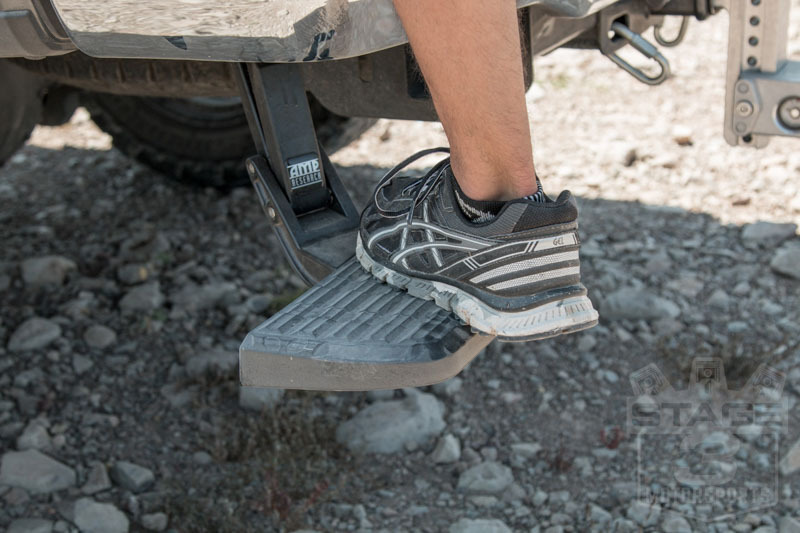 It's easy to deploy and stow with just the toe of a boot. 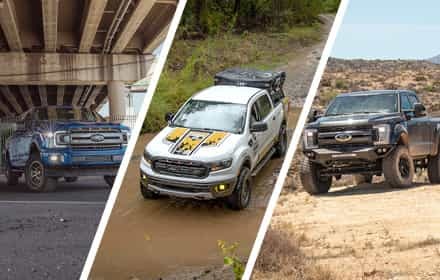 It also stays stowed on rough roads, appearing to be tensioned just right. When stowed, it's barely noticeable. 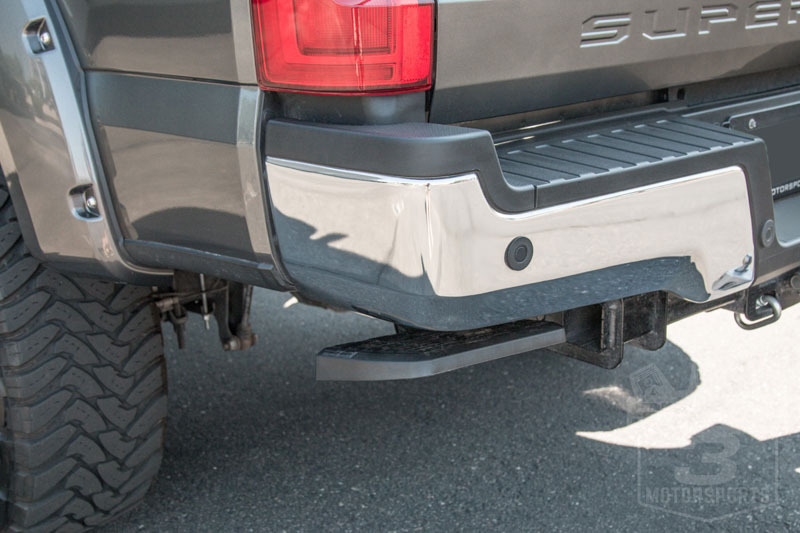 As an older guy, I appreciate the ease of getting up into the truck bed now. Great product! 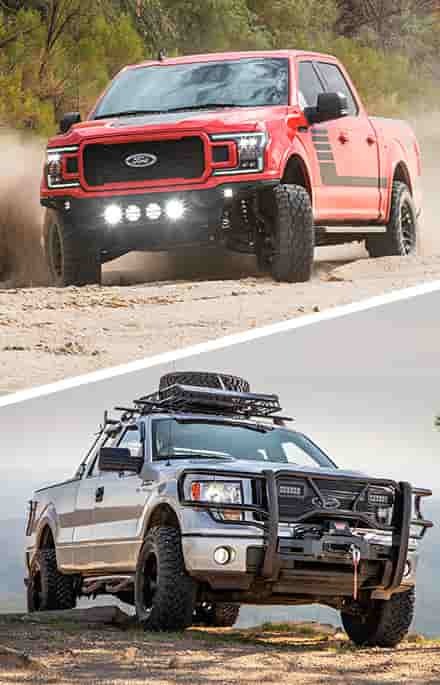 Makes stepping up on to the tailgate of these tall fords nice and easy. Seems to be very well built and tucks up nice and cleanly to the bumper. 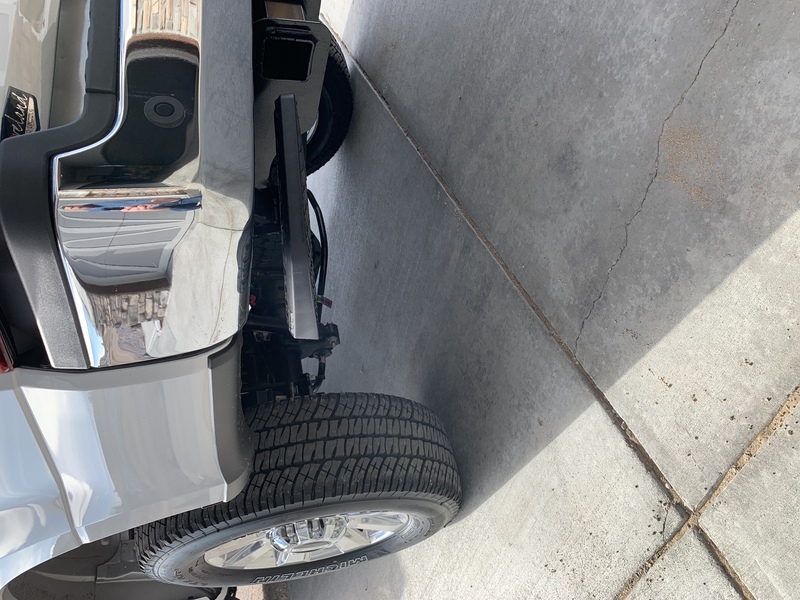 One of the bolts is a real pain to tighten but other then that was an easy install. WHAT IS LENGTH AND WIDTH? 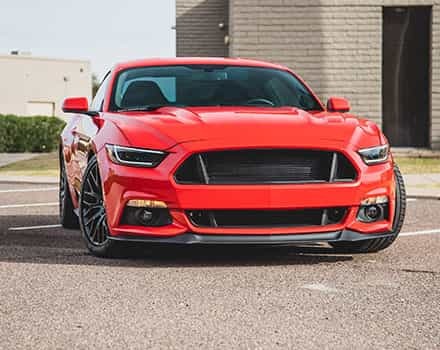 WILL THIS FIT IN FRONT OF TIRE ? 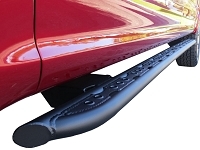 The step is tapered, but it measures about 10" long by 6-3/8" wide at its narrowest end. 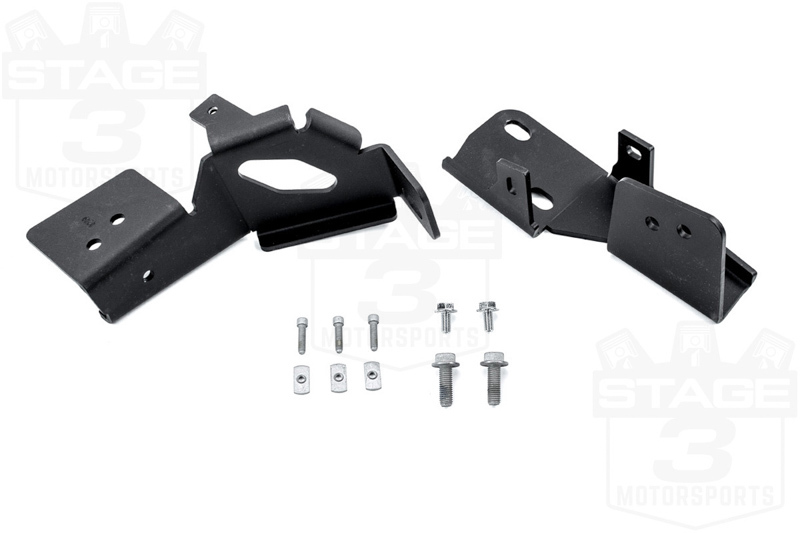 This kit is only designed to fit off the rear bumper. 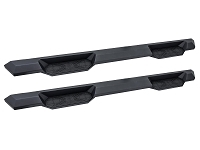 If you're look for a side step in front of the rear tire, then you'll need the 2017 Super Duty AMP BedStep2, which comes with different mounting hardware. 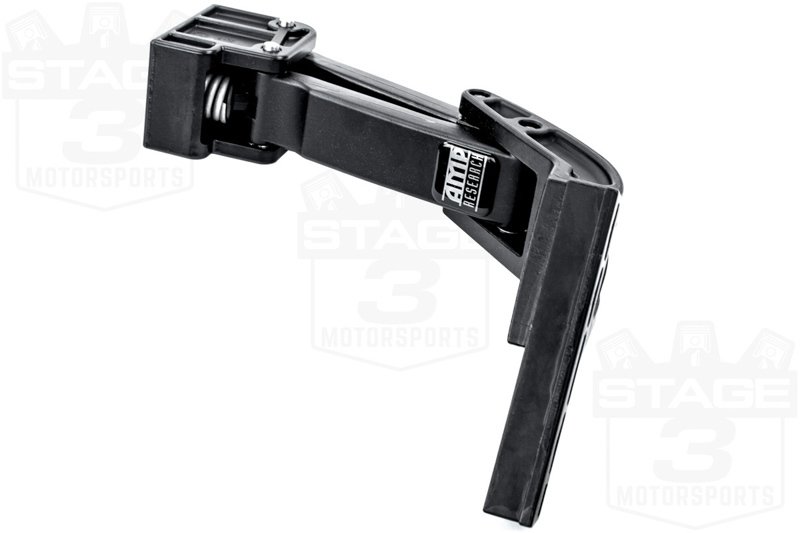 Is there a spring tensioner (or something else) to keep the step in the stowed position? 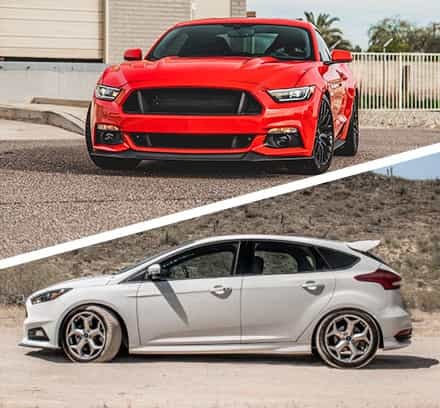 I wouldn't want to have it drop inadvertently if I hit a big pothole (or other substantial bump). 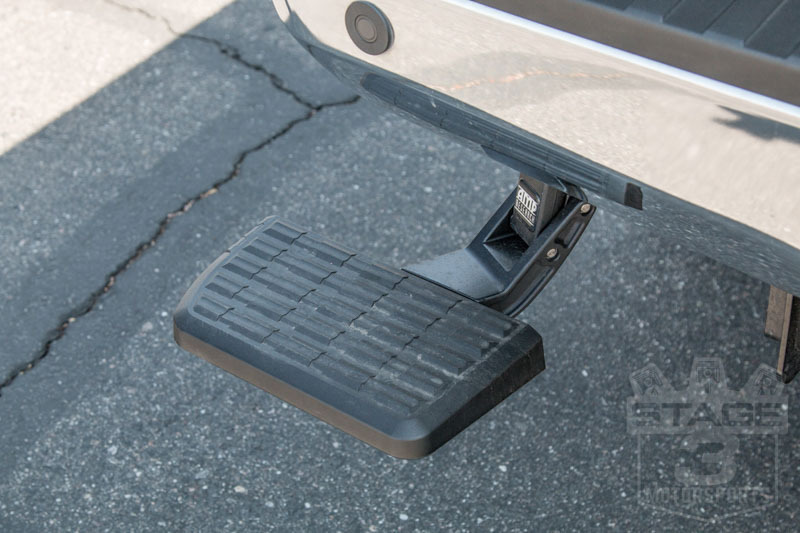 The step does have a locking mechanism that's pretty stiff, and won't pop open due to pot holes or bumps. 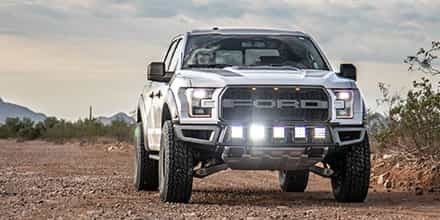 We've had these on several trucks that we've beat on off-road, and have never had an issue with inadvertent deployment.